While the ISIS insurgency creates new flows of refugees, rejected asylum seekers and Kurds with European passports continue to return. Five very different encounters in Iraqi Kurdistan in the last week illustrate the contradictions and complexities of migration. This is our second blog post in a series for World Refugee Day. On the plane to Iraq, where I will interview rejected and returned asylum seekers, I meet my former employer. As the director of an NGO for refugee support, she is en route to assess the needs of people who escaped from Mosul to Kurdistan. The insurgency of the last few weeks by the Islamic State of Iraq and the Levant (ISIS) has forced around half a million people to flee their homes. My former boss cleared her agenda to respond to this emergency. I, on the other hand, wondered if it was safe enough to go. A couple and their baby from Mosul check in to my high-end hotel. Humanitarian organisations are having trouble finding the displaced. The newly set up refugee camps, ready to receive tens of thousands of people, remain largely empty. While the middle class can afford to stay in hotels for a while, the most vulnerable people are probably not those on the move, but those who stay behind. I interview a rejected asylum seeker who returned from Europe. He currently works at a recruitment agency for domestic workers. While he arranges working visas for young South Asian women who come to work for the new rich in Kurdistan’s growing economy, all he wants is to leave for Europe again. He does not want to be an asylum seeker or undocumented migrant anymore. He may not even want to stay in Europe. What he wants is a European passport that gives him the freedom to leave Iraq in the very real scenario that things go wrong. At the representation of the Dutch embassy in Erbil I meet a Dutch Kurd who has just graduated from university and now wants to start his career in Kurdistan. The growing economy has attracted international expatriates, including Kurds with foreign citizenship. Right now though, he is carefully monitoring the security situation. With his Dutch passport and the assistance of the embassy, he can leave whenever he needs. Another Dutch Kurd I meet came to Kurdistan to marry his wife. He can hopefully bring her to the Netherlands in a few months, if she passes the integration test; she has been studying Dutch for a year now. His brother moved back to Kurdistan, got married and had children here. He is thinking of leaving again because he cannot find a good job. Their parents live separate lives: his father returned, while his mother who did not want to return lives on her own in the Netherlands. With the freedom of movement these migrants have, and the choices they make, dynamic transnational families emerge. Iraqi Kurdistan is a hub of different migration flows: returnees, refugees, IDPs, expatriates, family formers and guest workers. Although the semi-autonomous region is a safe haven for many and likes to call itself the “Dubai of the Future”, events in Mosul, just a two-hour’s drive away, show that the concept of security is both relative and unpredictable. In the weeks and months to come, the Kurdish government will have to carefully negotiate its position. It is under increasing pressure not only from various international powers (who ask conflicting actions from them) but also a very aggressive new neighbour. People generally respond to insecurity by moving; in an insecure situation, mobility is their greatest asset. Although mass movements of people reflect the gravity of a security problem, being forced to stay is even more disempowering. The people who escaped Mosul and other parts of Iraq are unfortunate; but those left behind are even more unfortunate. Most returnees from Europe will find their place in society. But the lack of freedom to move if needed creates a great unrest, which results in almost all returnees wanting to go back. 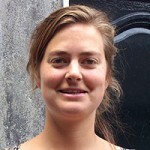 Marieke Van Houte is a PhD fellow at UNU-MERIT. She is currently writing her PhD thesis on return migration, focusing on returnees from European countries to Afghanistan. She addresses return migration within the debate of migration and development, using in-depth qualitative and participatory methods.